Kimi ni Todoke Wallpaper: ...but she can Smile too..
Minitokyo »	Kimi ni Todoke Wallpapers » Kimi ni Todoke Wallpaper: ...but she can Smile too..
Browse Kimi ni Todoke Gallery: Recent | Popular. I was planning on making a wall out her smiling too, I love the series everyone is so nice and the fuwa-fuwa smile effects! Anyway back to the wall, it's really really great! I don't mind blurry bg at all :D But the vector is perfect! Sawako-chan looks so cute (>_<) Lovely colors accompanying her smile. I like the sparkles too, they put the cherry on top of the overall calm atmosphere. Beautiful shot. Her smile disarmed me. I smell an upcoming MT star here. ^^ You're pretty good. I love this wall ,thankyou for your sharing! awsome shot! thank you for sharing! ur simle is shine for me~ (Ganma's quote) xD Sawako looks so cute! thanks for sharing! Nice wall, thanks for share! 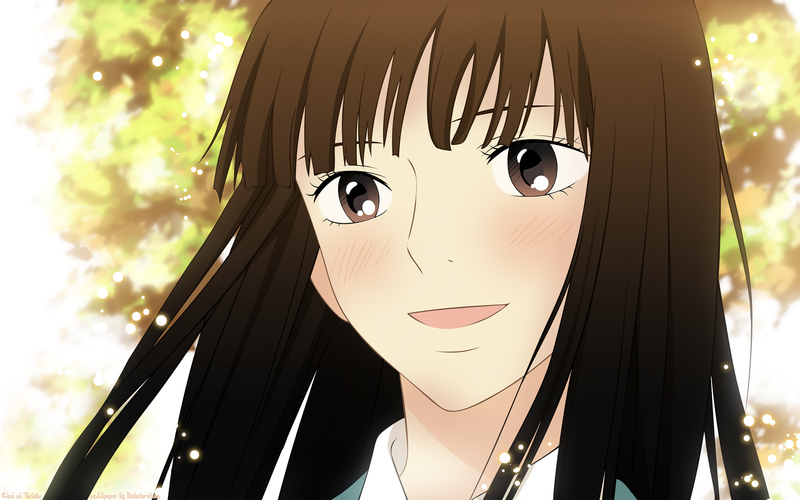 Love kimi ni todoke! It's amazing!